Tlay Maak Tsu is the place name of what is now called Esperanza, a boat-in Christian community located between Tahsis and Zeballos on the northwest side of Vancouver Island. Traditionally, the Ehattesaht people of the Nuu chah-nulth used it as a resting and stop-over place on canoe journeys due to its readily available water source and protection by Nootka Island. In 1937, Dr. Herman McLean, with the aid of Percy Wills and Mr. Peters of the Ucluelet Tribe were led here to offer medical aid to the prolific logging and fishing camps, canneries, and local villages. This location became known as Esperanza, named after the nearby inlet. 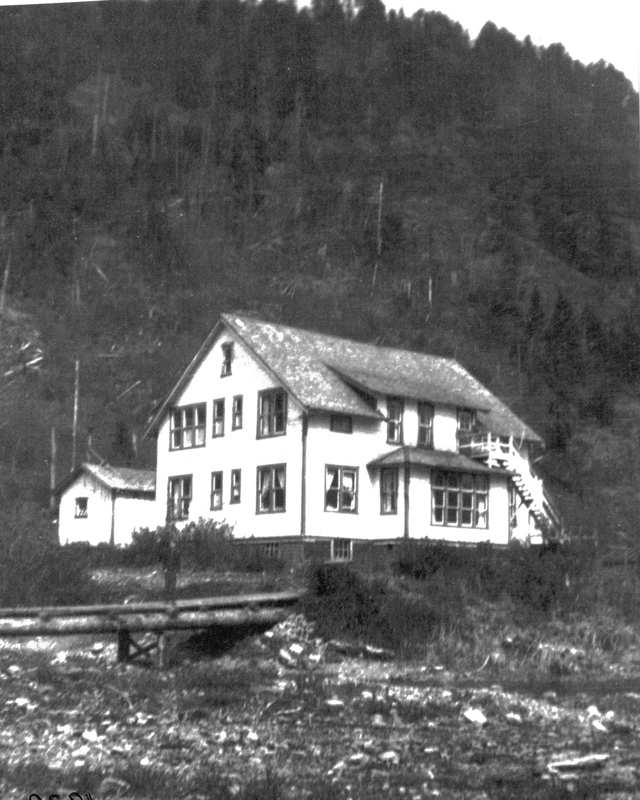 The historic Nootka Mission Hospital operated from this location until 1974. Esperanza means “hope” in Spanish and many find hope here. Although Esperanza no longer operates as a medical mission, the staff and volunteers remain steadfast to the calling of community, refuge and service in the name of Jesus. During the fall, winter, and spring, Esperanza offers a place to rest for those who need refuge from "the storms of life". The staff travel into the local villages and offer ongoing community care through visiting, church services, and youth groups. We also offer year-round fuel services for boats. Throughout the year, the community kitchen opens to all of Nootka Sound, where friends and neighbours gather for Thanksgiving, New Year's Eve, and Easter potlucks, often hosting 100+ people. In the summertime, Esperanza's focus turns toward children and youth camps. Developing youth leadership is a primary focus of both the Counselor in Training (CIT) program and The Journey held out at Camp Ferrier on Nootka Island. At our camps, children come into contact with the gospel in an unique and fun way. Esperanza is a community of convergence, a meeting grounds for people of various abilities, interests, denominations and ethnicities. It is a place where people learn about our Creator, about one another, and about themselves. It is a community where fuel can be purchased, where community gathers, a place to find rest, and an opportunity to volunteer your time in service towards others. We invite you to partner with our ministry - to follow the call of deeper service, participate relationally, and to give in the ways you have been gifted and called. We in Esperanza are amazed at how the purposes of this land have continued to line up over time and culture! To us, it demonstrates how God is sovereign and His purposes are larger than human understandings.